An amendment to Russia’s federal Merchant Shipping Code now subjects all state-owned vessels, including military vessels and military support vessels, to general shipping regulations for the Northern Sea Route. That means that also Navy vessels will have to pay icebreaker fees on the route. The amendment was signed by President Vladimir Putin on Feb. 7 following State Duma approval in late January, according to the Kremlin. It takes immediate effect. The new regulation comes as Russian Navy vessels rapidly increase shipping in the region in connection with the development of new and upgraded military base infrastructure. Many thousand tons of goods and construction materials have the last couple of years been shipped to sites like Severnaya Zemlya, New Siberian Island, Wrangel Island and Cape Shmidt. According to TASS, Oboronlogistika, the Russian Defense Ministry’s shipping company, alone in 2016 shipped about 700,000 tons of goods on the Northern Sea Route. The state company in 2016 got status as united logistics operator for Russian Arctic shipments. The Northern Sea Route includes the waters between the Novaya Zemlya and the Bering Strait. 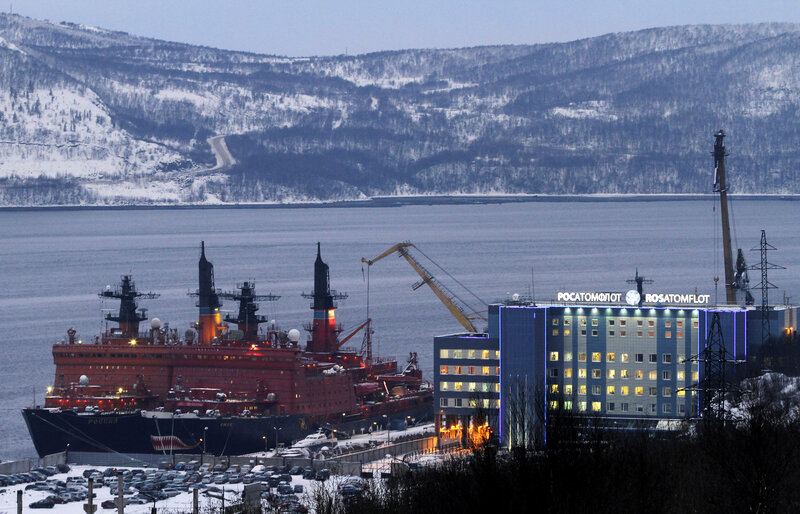 It is managed by the Russian Ministry of Transport and its Northern Sea Route Administration.